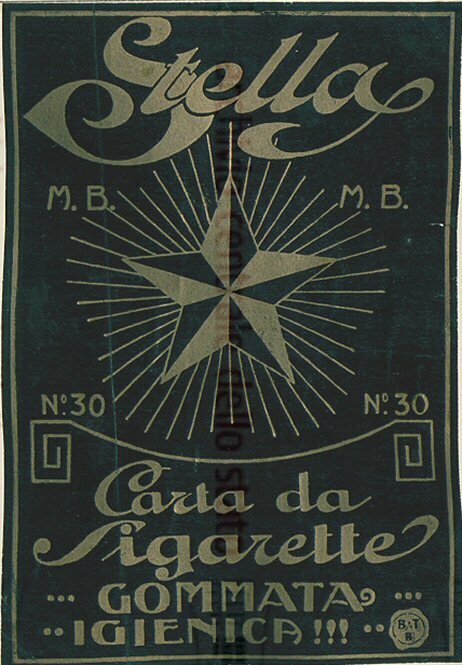 Date confirmed 1925 by trademark from archivio Centrale dello stato. 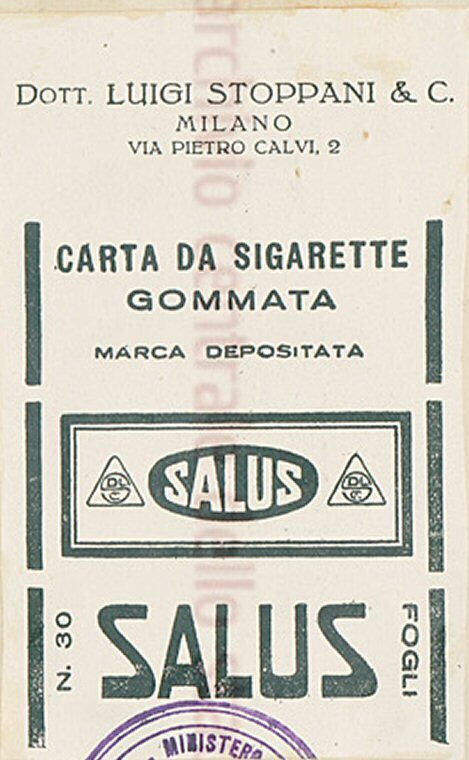 Date confirmed 1944 by trademark from archivio Centrale dello stato. 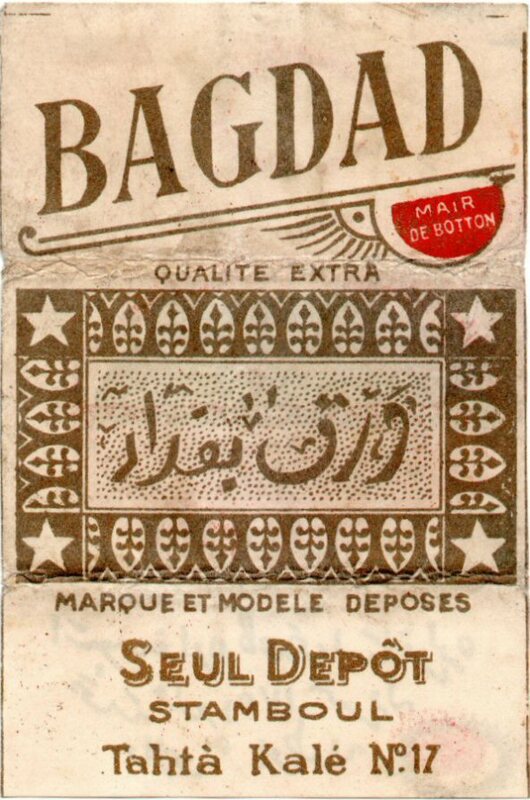 Trademark B & T B seal displayed on lower panel. 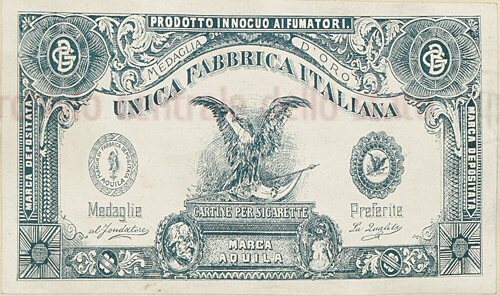 30 Fogli. 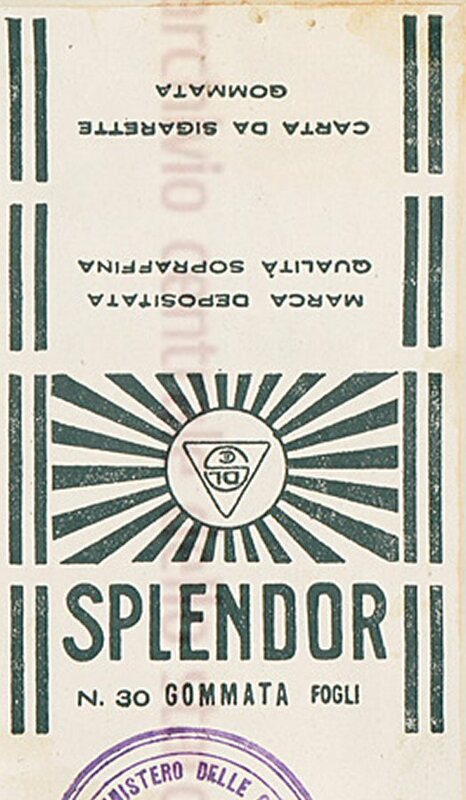 Date confirmed 1931 by trademark from archivio Centrale dello stato. 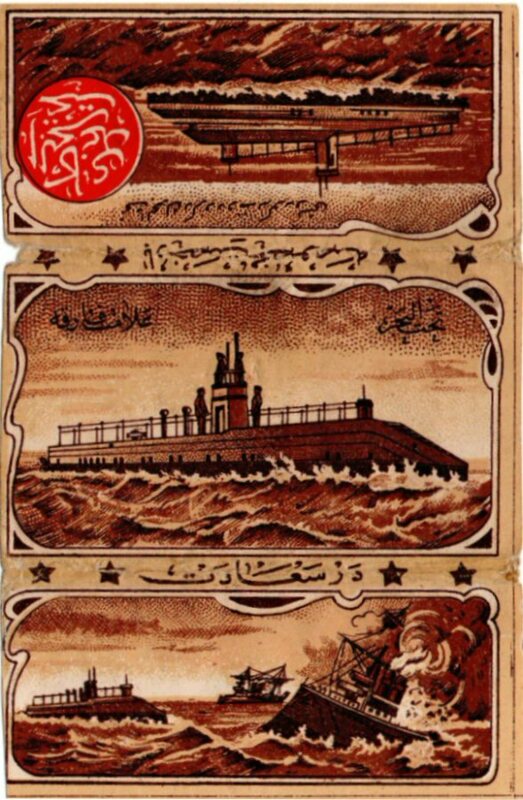 Dr Luigi Stoppani & C.
Ottoman booklet produced in the middle east. (Marpoutchilar, Azaria Han, No 17). Illustration of a Turkey gamebird. 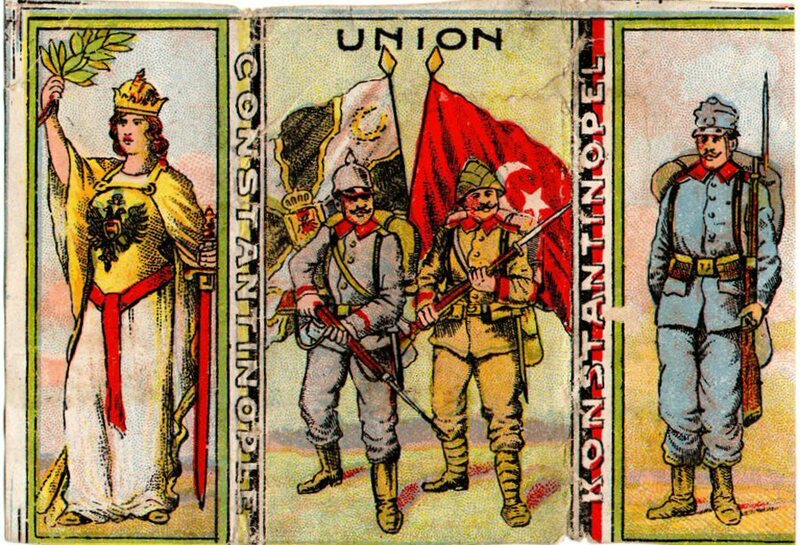 Ottoman booklet produced in middle east. Taht El Bahir (Under the Sea). Also large box lable version format. 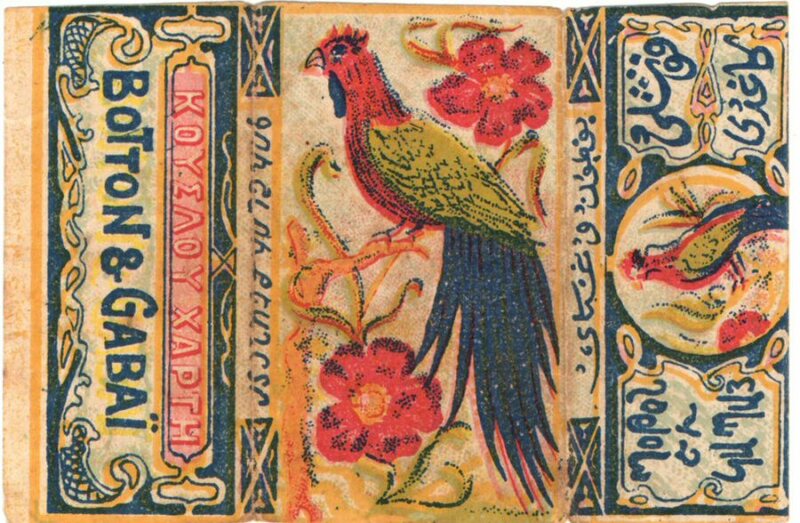 Imitation of Papier Ottoman design. 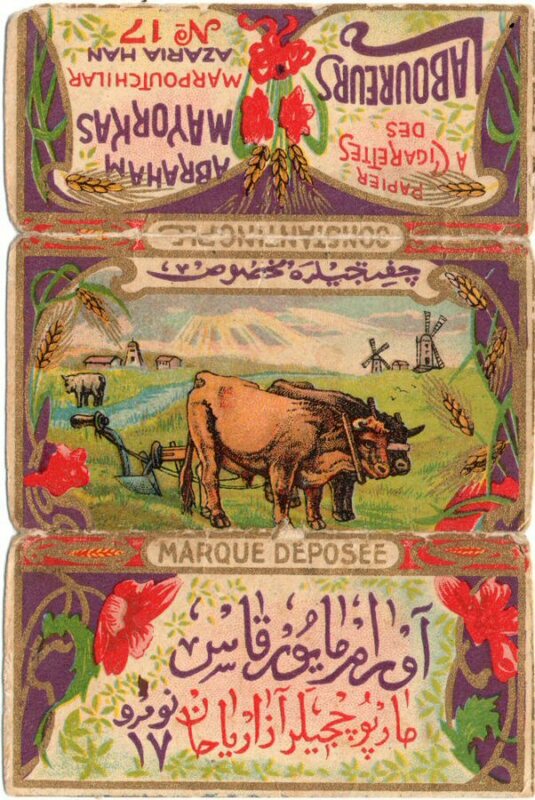 Variation with name 'D. F. Rabbath'. 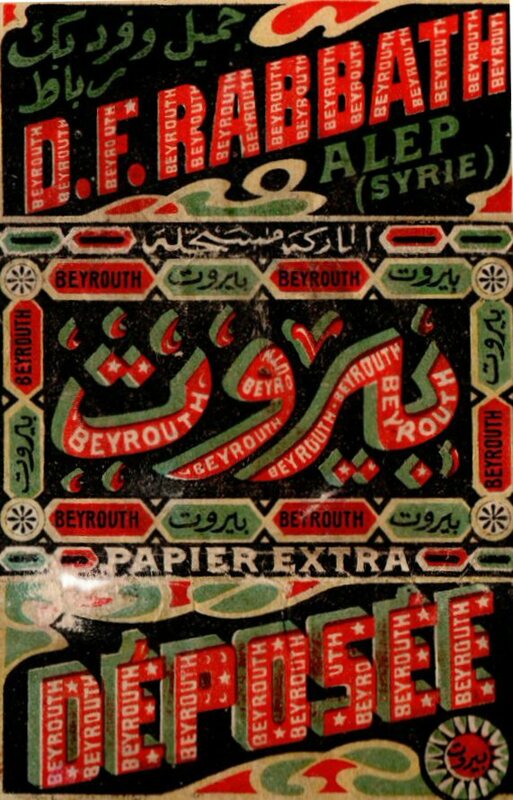 Also 'Beyrouth' in Placeholders. Several variations in format, color and design. 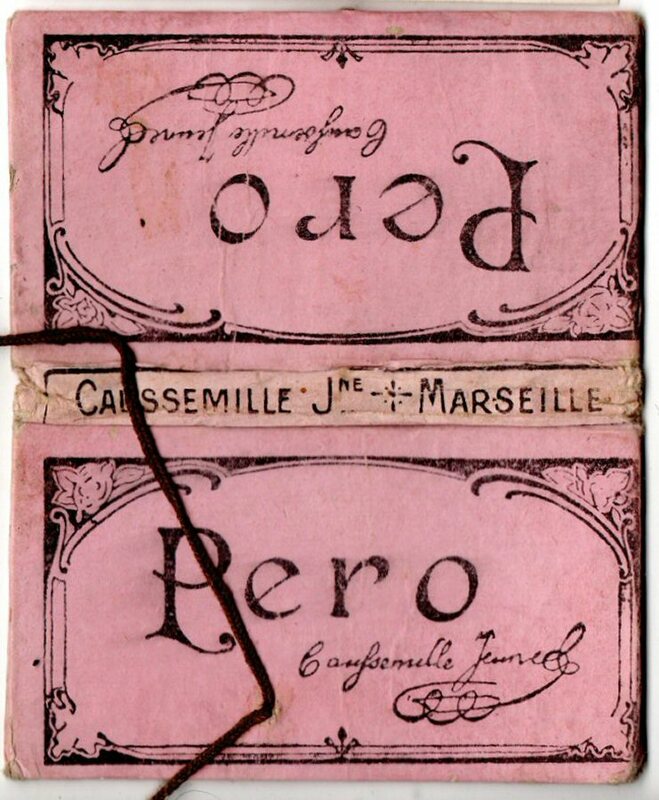 Variation: 50 Feuilles exacies along top spine. 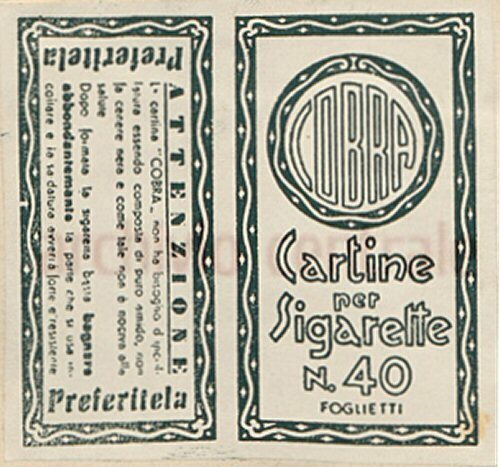 Variation: Qualite Extra along top spine.